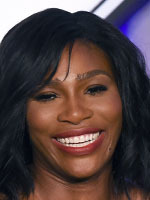 World number 1 Serena Williams travels to Rio this summer ready to defend her Olympic titles in the women's singles (2012) and doubles, with her sister Venus (2000, 2008, 2012). The American enjoyed a magnificent 2015, completing a "Serena Slam" with victories at the Australian Open, the French Open and Wimbledon. She narrowly missed out on a first calendar Grand Slam since Steffi Graf in 1988, as she lost to Roberta Vinci in the US Open semi-finals. At 34, Williams has won it all. Her unquenchable thirst for victory makes her the favourite again in Rio, even after a surprise defeat to Angelique Kerber in the 2016 Australian Open final. A 21-time Grand Slam winner should never be taken lightly!